Remedico is revolutionising the way medical consultations work. After having treated over 5000 patients this last year, we explain how our process works after you have received your treatment plan. In this post, we break down what are the next steps after you have completed your first consultation with us. At Remedico, we hold your hand through the process of recovery and have a path for you till you have completely healed. Many of our new customers might still be wondering how the Remedico process works. So let’s start with a quick recap of how our process works. Remember our whole process is online and you can seek out our doctors from wherever you might be. If you are at the absolute beginning of your journey with Remedico, you will have to start by filling our online questionnaire. 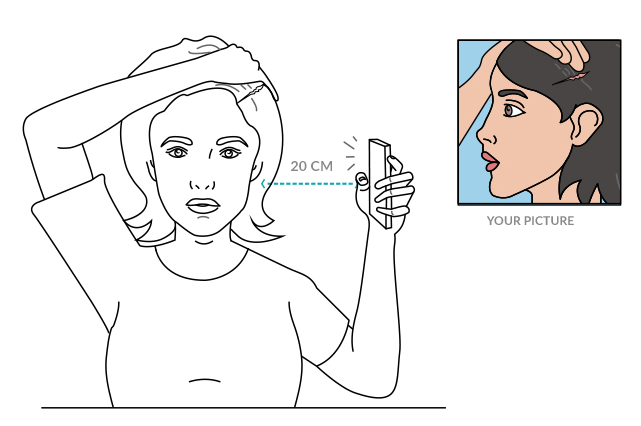 Remedico will guide you through a short questionnaire, which will ask you about your symptoms and medical history, and ask you to take some photos of your symptoms. It should take 5-7 minutes. At the end of this step, we will ask you to make payment. We ask for payment at this time, so that our dermatologists can begin working on your treatment plan. After analysing your skin condition and reviewing your details, our certified dermatologists will prepare a personalised treatment plan for you, which you will receive within 24 hours through email. The treatment plan will include a diagnosis of your condition, advice, and prescription of medications and other products as required. After sending you your treatment plan, we will help you through the treatment process. You will get reminders and support so that you never skip your treatment, and regular follow-ups to check that the treatment is working. Remedico believes in supporting our patients through their process of recovery. Each patient is different and has their own unique challenges. Our doctors at Remedico tackle each patient's case individiually and recovery paths differ from person to person. What stays the same is how we stay by your side until you've healed completely. In your first treatment plan from our dermatologists, you will notice that they usually ask you to consult again for a follow-up. A follow-up is a check in with your doctor to track your progress and make sure you’re on your way to great skin and/or hair. Our doctors will assess your skin and/or hair and re-evaluate a follow-up plan to continue treating your condition. This may include a change in medicines and creams as well as lifestyle advice. Pro Tip: Remember follow-ups cost just ₹150, or you can buy a pack of 3 for just ₹300! Follow-ups are only available to those customers who have already started their treatment with an initial consultation with Remedico. If you want your follow-up link, write to us at consult@remedicohealth.com or Whatsapp 'followup' to +91 8433 848 969. Once you have the follow-up link, you will need to fill up an online questionnaire and upload recent photographs of your condition. Many of you may think its completely normal to continue with the same treatments for much longer than is advised by the doctor. This is not advisable. Some medicines are best taken only as long as prescribed by the dermatologist. Medicines are provided for a specific duration and must not be continued beyond this time limit. Think about how you may consume antibiotic tablets prescribed by a general practitioner, you would not continue it longer than what the doctor recommends. In the same way, you want to avoid continuing medicines any longer than what the dermatologist asks you to. Continuing some treatments, be it ointments or oral medications, longer than directed may cause undesired side-effects such as skin darkening, redness, or dryness. So remember to stop your prescribed medicines once you have reached the end of the duration mentioned in your treatment plan and reach out to our customer service team to start your next follow-up with your dermatologist. All our paid customers receive an alert via text message reminding them that it is time for the next follow-up. If you purchase the pack of 3 follow-ups, its advisable to avail these follow-ups in sequence over a period of three months. Remember each treatment plan lasts for approximately a month and follow-ups will also require the same level of committment from your side. Our patients who have noticed the best results have been extremely disciplined with the way they manage their treatment and continue with follow-ups in a timely manner. Update photos are an essential step in this process and serve as a way for your assigned doctors to evaluate the progress in your skin or hair. Do not skip this step as it will hinder your treatment process making it tough for the doctors to review your skin or hair. The process and guidelines are the same as required in the initial consultation. You need to send clear photos of your condition from 3 angles. If there is an issue with your uploaded photos, our service team will reach out to you requesting for clear images. You will notice clear and healthier skin once all your follow-ups have been completed but you may be worried whether you will need to have medications all your life. Rest assured, this is not the case. At the end of your follow-ups, Remedico's dermatologists will design a personalised skin/hair-care routine to make sure your condition does not reappear. 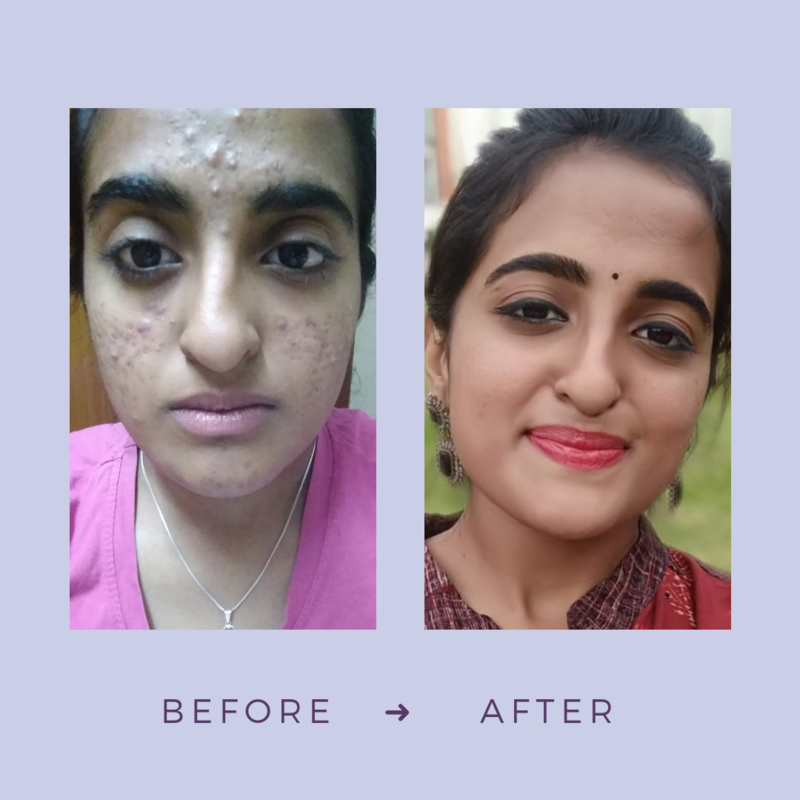 "This was actually my skin and I’m so so happy now 😇 Remedico is one of the best solutions to this I swear. They’ve got solutions to all problems related to skin. When you consult them you will definitely see results in the end." So that's everything you need to know about follow-ups with Remedico. It's simple, quick and takes less than 5 minutes to consult with the most experienced dermatologists, from the comfort of your own home. With Remedico, you can consult a dermatologist for your acne problems without having to visit a clinic. Our service is the fastest, easiest way to get healthy skin and hair. Treat acne ahead of time, consult with us today!